Dual core processors are those that contain 2 cores in a single silicon chip while Core 2 Duo is the name given by Intel to its second batch of dual core processors. The processor wars have hit a major speed bump as clock speeds become harder and harder to push upwards. Because the number of transistors in a single chip continues to follow its upward trend, processor manufacturers like Intel and AMD have decided to go a different route in increasing the performance of their products, adding more cores into a single chip that leads to a performance boost if the OS supports it. Two or more cores can greatly aid in multi-tasking where each core can work independently of each other. All processors that have 2 cores in them are collectively called as dual core processors regardless of which manufacturer it came from, while those that have 4 processors in a single chip are called quad core. Initially, Intel called their dual core processors as Core Duo, a very obvious reference to two cores, while AMD called theirs the X2. 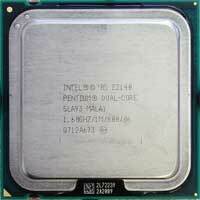 Intel’s dual core processors were simply 2 Pentium 3 processors that were fabricated in a single chip. As they refined their product more, they decided to differentiate their second set of processors from the Core Duo and decided to call it Core 2 Duo. Basically, the difference between dual core processors and the Core 2 Duo processors is just in the semantics as Core 2 Duo is simply a name given to a more recent family of dual core processors. If we translate this to the single core processors, we can say that Core Duo is Pentium 1 while Core 2 Duo is Pentium 2, while AMD has their own processors with different names; but all these are still single core processors. We can therefore say that Core 2 Duo is simply a subset of all the dual core processors that are out in the market today. Ben Joan. "Difference Between Dual Core and Core 2 Duo." DifferenceBetween.net. September 22, 2009 < http://www.differencebetween.net/object/difference-between-dual-core-and-core-2-duo/ >. thanks too man for ur information. Very clear and neat summary………..! Thanks a lot…….! It’s really clear and useful information in few words. it made me a lot easier to understand between the two. Great! Thanks for the information..really useful. Hey, thanks a lot, cleared up some things. This isnt the required information. There is too much difference betwwen the two on technical grounds. I am sorry because I dont know about the details but I am sure that there is a difference regarding the cache memmory. Hope so, somebody would come up with a correct answer. realy described the difference in very easy and uderstandable way. thank for all those who works for the huminity………. I expect d answer in mechanism format I mean Hw Data Input Given to the Processor and Hw it Deals nd Produce d Output…. Thanks for providing this site for helping us in differentiating between almost everything. I will also suggest my friends and colleagues for this site for any help in differencing. Thanks for making such a good site…It helped me to find difference between two terms..
You have made it simple….. Greate job … Cheers buddy! this info is really Precious . thanks helped me a lot!! This is such an usefull information. But I didn’t get u the 4th point which u mentioned in summary. Please clarify and give me related site. What I’ve understood from what he said, he means that a Core 2 Duo can be a Dual Core as the Core 2 Duo has 2 (physical) processors and virtual processors also inside the same chip, whereas a Dual Core has only 2 physical processors. Thus, a Dual Core cannot be a Core 2 Duo! I think what we as purchasers need to know is the core duo is a 32 bit processor and the core 2 duo is a 64 bit processor other than that I think a 1.83 chip is pretty much a 1.83 chip as far as speed of processing goes if they both are confined to a 32 bit operating system. If the core 2 duo has the 64 bit operating system and a program that is capable of operating at 64 bit then the core 2 duo is going to have a significant speed advantage. i like core 2 duo is more better than duel core. amazing summery.mostly person can not understand the difference of these two similar machine. can u elaborate on core 2 duo and intel i3-7 technology diff.. I love the way you explain the difference. Kudos to this guy! Thanks for the concise explanation between the two. Core 2 thanks for this. I had to struggle a bit before I visited this page for the answer. Hi, I don’t think so that there are specific diffarence on both procesor, only first and last summary point is understandable. Thank you for this tutorial about processor dualcore & core2duo.